Despite the fact that Nepal has only about two dozen licensed amateurs and only one active repeater, amateur radio quickly became a critical link in re-establishing communications after the April 25th earthquake that caused massive damage in the Himalayan country and killed thousands of people. Hams from India and other countries came to help (see photo), after overcoming bureaucratic hurdles; the ARRL Letter reports a repeater donated by an American group - the Computer Association of Nepal-USA (CANAM) - was cleared through customs after the personal intervention of the country's Minister of Information and Communication, and nets on HF and VHF provided links both within Nepal and to the outside world. We will have complete coverage in July CQ's "CQ World Wide" column. For the first time since amateur radio was formally recognized by the U.S. government in 1912, hams may soon have access to wavelengths above 200 meters (frequencies below 1500 kHz). In a combination Report & Order and Notice of Proposed Rulemaking issued in late April, the FCC established a secondary amateur allocation at 2200 meters (137 kHz) and proposed another at 630 meters (472 kHz). Final rules for 2200 meters will be determined as part of the NPRM proceeding on the 630-meter allocation, but initial indications are that amateur use of both bands will be limited to permanent fixed stations with power outputs of 1 watt and 5 watts EIRP (equivalent isotropic radiated power), respectively. The FCC also granted amateur radio primary status on the 1900-2000 kHz portion of the 160-meter band. For more details on this ruling and proposal, see "How Low Can You Go?" in the June issue of CQ. Responding to "occasional requests from amateur licensees" to remove past address information from the public record, the FCC in late March proposed making only an amateur's current address publicly accessible. The reason, the Commission explained, is to address privacy concerns cited by amateurs who originally used their home addresses for their licenses but then changed them to a post office box or a business address. Continuing to have the home address in the public record, the FCC said, does nothing to help protect these amateurs' privacy. Comments are due by June 16, with reply comments due a month later. The House Energy and Commerce Committee, which provides Congressional oversight of the FCC, is not happy with the Commission's plan to close two-thirds of its field offices and eliminate the positions of nearly half its staff of field agents. 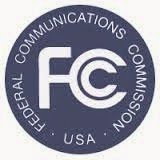 The ARRL Letter reported that the committee asked FCC Chairman Tom Wheeler to provide all documents related to the planned reorganization of the Enforcement Bureau, which the FCC says will be streamlined with the addition of "Tiger Team" strike forces to deal with issues in specific areas. 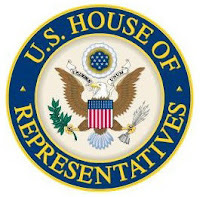 However, Newsline reported that the Commission turned over only one memo and PowerPoint presentation, and that members of the committee's Communications and Technology subcommittee - chaired by Oregon Rep. Greg Walden, W7EQI - were not satisfied and would be pushing for more answers. The 2015 Global Amateur Radio Emergency Conference (GAREC) has been cancelled due to insufficient registrations. The conference had been scheduled for this month in Tampere, Finland, where the first GAREC was held 10 years ago. For more information, see the "CQ World Wide" column in the June issue of CQ. The AMSAT News Service reports that AMSAT-NA has accepted an opportunity for sharing a ride to geostationary orbit as a "hosted payload" aboard a private launch scheduled for 2017. The satellite would be built by Virginia Tech, with funding to be secured by the school as well. A satellite in geostationary orbit would appear to be in the same spot overhead at all times, thus providing constant access to all stations within its "footprint." A foil balloon carrying an amateur radio payload has successfully circumnavigated the globe. The ARRL Letter reports that PS-41 (standing for PicoSpace balloon #41) was launched by Andy Nguyen, VK3YT, in Australia, on April 6 and crossed its starting point on April 16 before splashing down in the South Pacific off South America on April 22. The solar-powered balloon carried an HF payload, transmitting WPSR spots and JT9 telemetry at 25 mW on 30 and 20 meters. It was tracked by a network of hams monitoring both bands. Nguyen had been trying for more than a year to get one of his ham radio balloons to fly all the way around the world. 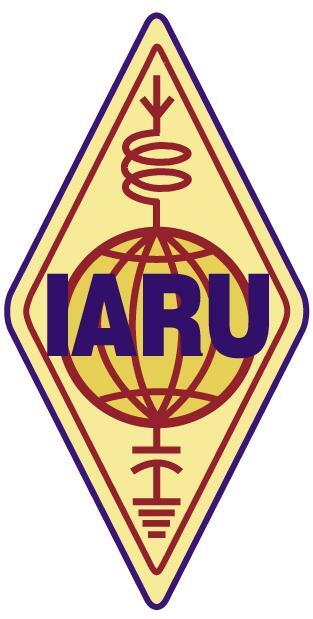 The International Amateur Radio Union's Monitoring Service is reporting several new intrusions into the HF ham bands. According to Newsline, the non-amateur stations include Russian channel markers on 80 meters; Radio Eritrea, the Voice of Iran and Radio Hargaysa in Somalia, all on 40 meters; and Australian over-the-horizon radar on 15 meters. AMSAT has announced plans to include L-Band (1.2 GHz) uplink capability in its upcoming Fox-1C and Fox-1D satellites. But there won't be a complete L-band receiver on board the spacecraft. Instead, the AMSAT News Service reports, the plan is to design a frequency converter that will receive uplinked signals on 1.2 GHz, down-convert them to 435 MHz and feed them to the satellite's regular UHF receiver. Downlink will be a single FM channel on 2 meters, regardless of the uplink band. A team of volunteers is working on designing an affordable Mode L uplink station to convert 70-centimeter FM signals to 1.2 GHz. Fox-1E is now slated to carry a Mode J (2 meters up, 70 cm down) linear transponder into orbit, with a 30 kHz bandwidth and a beacon sending telemetry in BPSK. 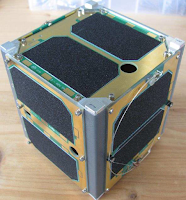 The goal is to test a design for including linear transponders in future cubesats, most of which are currently limited to single-channel FM receivers and transmitters. AMSAT says there is a chance that Fox-1E will have a launch opportunity next year, but could not disclose details. The ARRL has been named as the latest recipient of the National Public Safety Telecommunications Council's Heinrich Hertz Award. According to the ARRL Letter, the award is in recognition of the League's "exceptional devotion to the activities of NPTSC and unwavering support of the public safety community." ARRL is a member of NPTSC. The award was presented at the council's May 6 meeting by council Chairman Ralph Haller, N4RH, whom some may remember as a former Chief of the FCC's Private Radio Bureau - which regulated amateur radio at the time - in the 1990s. Haller noted that the Hertz award is not presented annually, but presented only "when exceptional performance warrants it." Mars is commonly seen from Earth as reddish in color, but NASA says the planet routinely has green auroras. 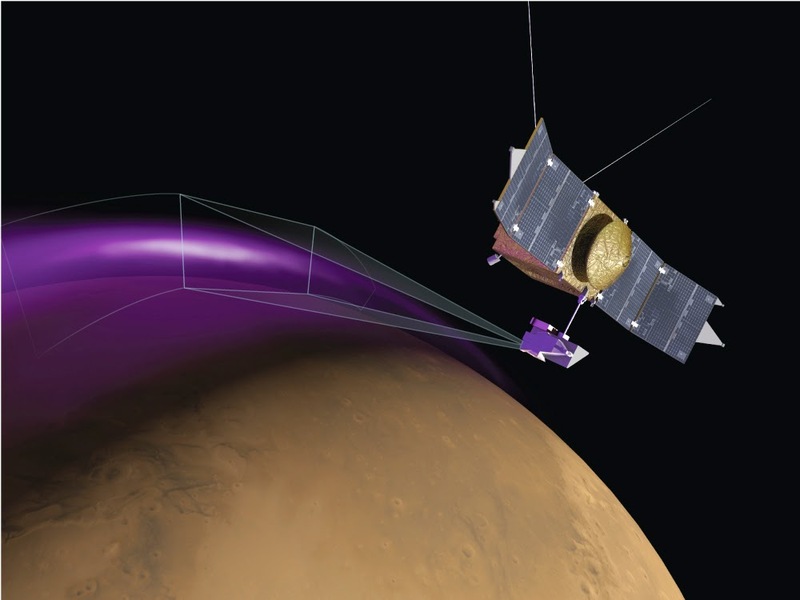 Evidence of auroras on Mars was first detected 10 years ago by the European Space Agency's Mars Express probe, but NASA Science News says the currently-orbiting MAVEN Mars probe has discovered that they are widespread and wide-ranging. Mars does not have a magnetic field surrounding the whole planet as Earth does, but rather sporadic "magnetic umbrellas" that are remnants of an ancient global field, and they are regularly "lit up" by particles from the sun. But according to researchers at the University of Colorado, which operates MAVEN's Imaging Ultraviolet Spectrograph (IUVS) instrument, these umbrellas are mostly found in Mars's southern hemisphere and there is now evidence of widespread auroras in the northern hemisphere as well. "The (solar) particles seem to precipitate into the atmosphere anywhere they want," says IUVS lead scientist Nick Schneider. "Magnetic fields in the solar wind drape across Mars … and the charged particles just follow those field lines down into the atmosphere." (Dayton, OH - May 15, 2015) -- CQ magazine today announced its 2015 Hall of Fame inductees, adding two members each to the CQ DX and Contest Halls of Fame, as well as nine new members of the CQ Amateur Radio Hall of Fame. Tim Allen, KK6OTD - Actor and star of the ABC comedy, "Last Man Standing," on which his character is also a ham, Mike Baxter, KA0XTT. Charles Apgar, ex-2MN (SK) - uncovered German spy transmissions from Telefunken shore station WSL in New York during WWI. Dan Benishek, KB8TOW - Member of Congress from Michigan. Medical doctor and advocate for veterans. Olof Lundberg, G0CKV - Leader of the communications satellite industry for a quarter-century. Founding Director General of Inmarsat; founder, CEO and Chairman of ICO Global Communications and CEO of Globalstar, Inc.
Bre Pettis, W2BRE - 3D printing pioneer and founder of MakerBot. Alvino Rey, W6UK (SK) - A leading musician of the swing era, Rey is considered the father of the electric guitar and inventor of the talk box, pickups and other electronic musical devices. He combined his love for music with his love of radio to transform the music world. Bob Twiggs, KE6QMD - Co-inventor of the cubesat design standard. Greg Walden, W7EQI - Member of Congress from Oregon. Chairman of the House Communications and Technology Subcommittee. Joko "Jokowi" Widodo, YD2JKW - President of Indonesia. Yasuo "Zorro" Miyazawa, JH1AJT - is a DXer, DXpeditioner, educator and philanthropist. Zorro is the founder and CEO of the Seisa Group, which runs schools in several countries; and founder/CEO of the Foundation for Global Children, which provides medical and educational support for children in Japan, Bhutan, Myanmar, Cambodia and Bangladesh. Zorro has also helped promote or re-introduce amateur radio to many of these places, and has donated money and/or equipment to help amateurs in rare locations get or stay on the air. Michael Wells, G7VJR - is founder of Club Log, an online DXpedition log-hosting tool that has changed the face of DXpedition operating by, among other things, allowing operators to upload their logs while still on the air and permit hams around the world to know if they are "in the log" on a given band or mode. Michael is a DXpeditioner himself, having been part of a half-dozen major operations and having operated from 25 different DX entities over the past 10 years. Doug Grant, K1DG - is not only a world-class contester, but has not hesitated to share his knowledge and skills with others. He has built or helped to build several championship contest stations, is a founding member of the Yankee Clipper Contest Club, a founding director of the World Wide Radio Operators Foundation, is a regular instructor at Contest University and has run the Contest Forum at the Dayton Hamvention® for the past 20 years. In addition, Doug has competed in five World Radiosport Team Championships (WRTCs), and has medaled three times. Ward Silver, N0AX - has been a contester for over four decades and has operated from some of the world's top contest stations, spanning four continents. A founder of the World Radiosport Team Championship (WRTC) competitions in 1990, Ward is currently Secretary of the WRTC Sanctioning Committee. He is also president of the YASME Foundation, which supports DXpeditions and contest operations around the world, QST contesting editor and author of Ham Radio for Dummies and Circuitbuilding Do-It-Yourself for Dummies. Formal inductions to the CQ Contest and DX Halls of Fame were held at the Dayton Hamvention.® More detailed descriptions of inductees will appear in the official announcement in the July 2015 issue of CQ magazine.